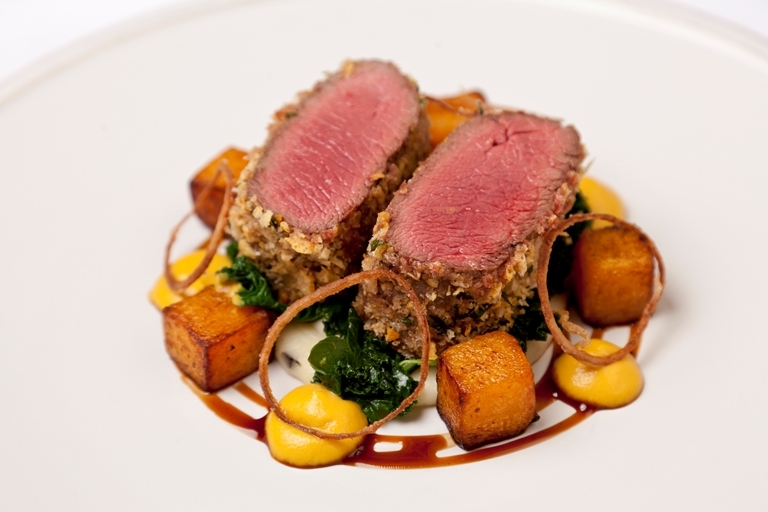 Richard Davies' venison recipe is laced with some sophisticated touches – from crispy shallot rings to an indulgent truffle mash. The dish is finished with diced and puréed butternut squash and the Parmesan crust adds interest and texture. This is a hearty and impressive main to serve on a chilly day.